It could be said that launching a bike after the Tour de France is pretty crazy, as many in the industry see this as prime bike launching territory, especially if you want to be heard in a crowded market place. But for Fuji, with strong sponsorship connection with Spanish team Caja Rural-Seguros RGA Al, who will be riding it at this years Vuelta a España, and seeing as in Fuji won the 2011 race with Juan José Cobo (Geox-TMC) during its reinsertion into the performance road market with the Altamira, beating Wiggins and Froome, Fuji says it completes the circle. 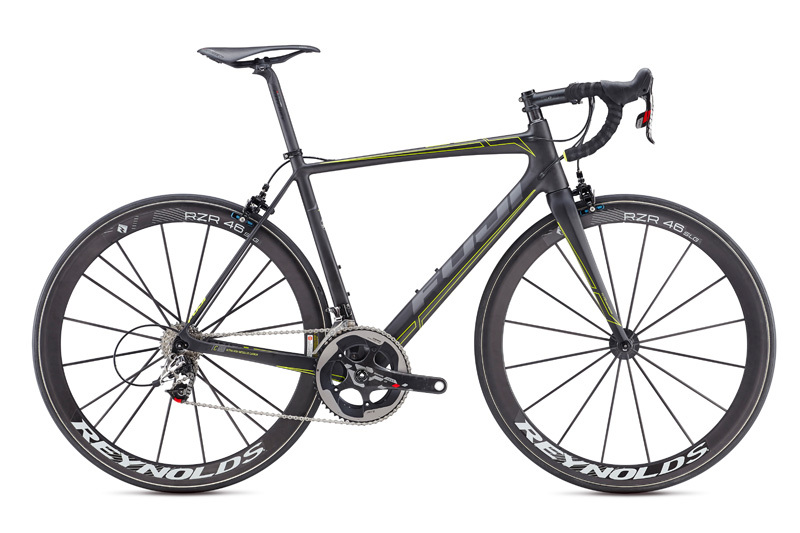 The new Fuji SL (Super Light), which replaces the Altamira as Fuji’s flagship model, is said to be ‘born out of the quest to create one of the lightest bikes in the world’ and with a claimed frame (not including fork) weight of 695 grams (size 56) certainly boasts initial climbing prowess. According to Caja Rural-Seguros team mechanics their team build is so light in fact, even with a 3D Rotor power meter cranks, pedals and bottle cages, falls just shy of the UCI 6.8kg weight limit, begging the questions ‘where is the best place to add weight’? The SL is 19 per cent lighter, nine per cent stiffer in the head tube, 11 per cent in the bottom bracket and 18 per cent stiffer in the fork – thanks to a reinforced rib running the length of the blade – than the Altamira, which should only help the handling and feel of the SL. Its predecessor, the Altamira 1.0, was pretty good all-rounder, so only time will tell. 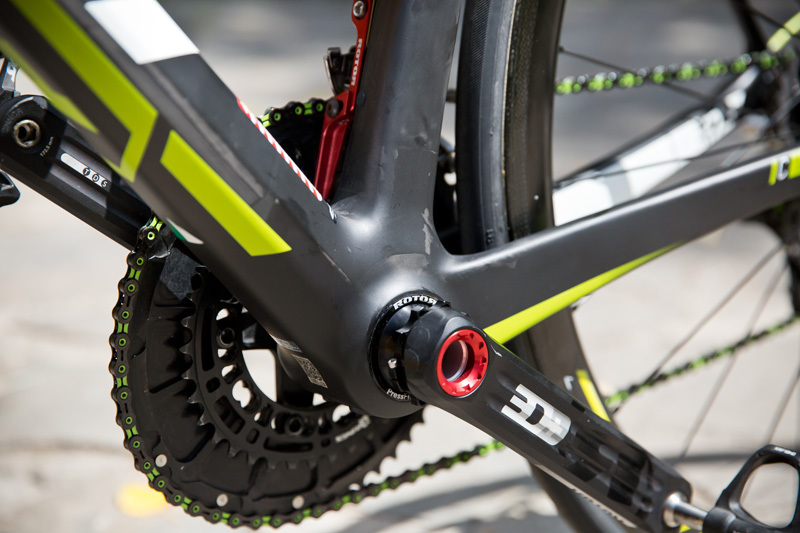 According to Steve Fairchild, Fuji’s Road Product Manager, much of the stiffness is brought from ultra high-tensile strength carbon, which is flattened in key areas such as the seat tube, top tube and fork. Most notably the down tube isn’t round but octagonal (although it’s hard to tell just looking at it), which was a result of a collaboration between Fuji engineers and its carbon experts in the Far East, thus allowing for the use the stiffer carbon in certain sections, making it stronger and stiffer laterally, according to Fuji. The main factor in weight saving for Fuji’s SL is the reduction in bonded joints. Originally Fuji used eight bonded joints; state of the art back in the day. Each joint: bottom bracket, head tube, seat tube and the rear drop outs, need double the carbon in these areas to ensure strength. Just four are needed for the SL, which are located in the rear stays. This also means that only three pieces need joining, that helps increasing stiffness to weight ratios due to continuous carbon layups. 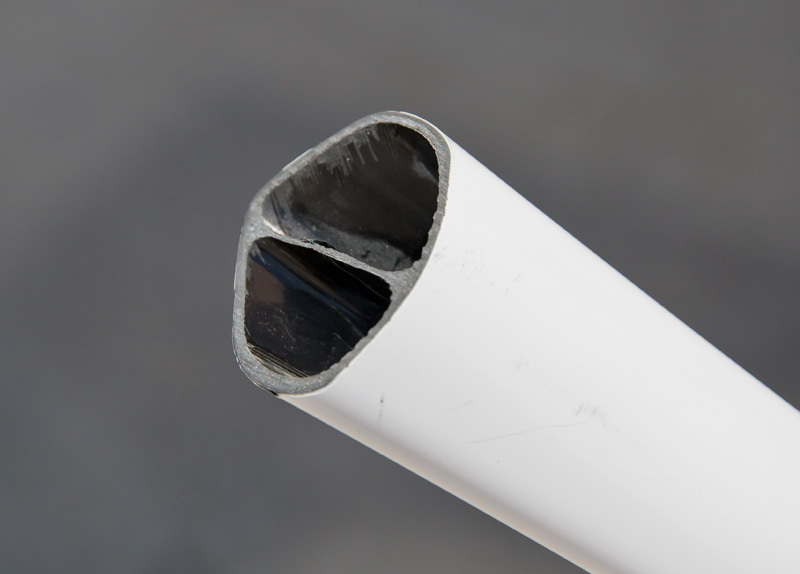 Fewer bonding joints, less interrupted carbon, less weight. In conjunction with fewer joints, Fuji has utilised its High Compacting moulding technique that is said, using a series of internal moulds, to eliminate wrinkles and excess resin build up in key areas like the head tube and bottom bracket. Including the hollowed seat and chain stay the total weight shaving is 237 grams compared to Fuji’s previous high end model, the Altamira. In the same way as many of its competitors, Fuji will use different tube dimensions for the top and down tubes – roughly one to two per cent variation between sizes – as well as different carbon lay ups for different frame sizes, which will include two fork offsets. This is said to ensure all riders, no mater what size, will have the exact same ride feel. 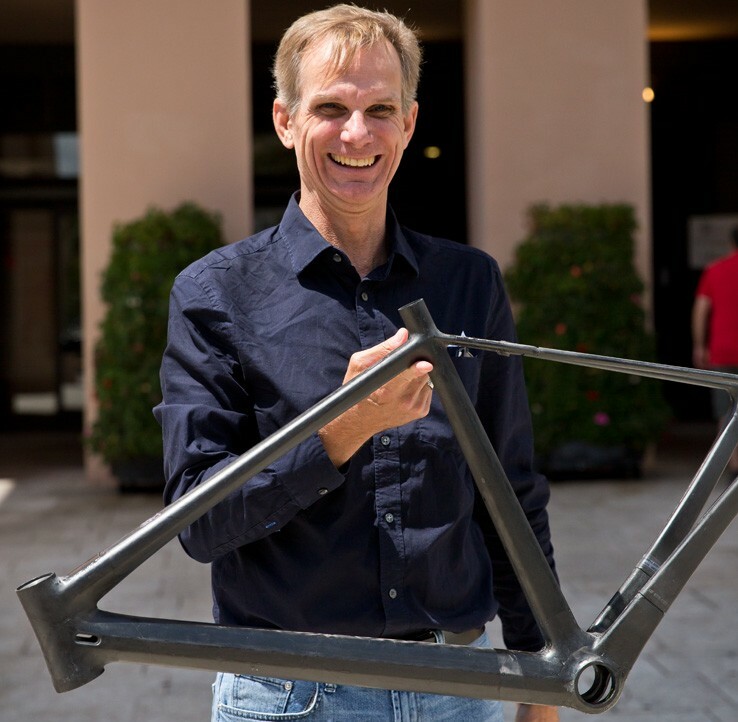 The idea is that a rider on a 46cm frame will not need the same stiffness as a bigger rider say of a 61cm frame. Two different series are available. The ultra high-mod ‘1 series’, which is the frameset used by the pro’s in the form of the SL 1.1 at £8499.99 (spec below) and SL 1.5 at £3399.99 built with Shimano Dura-Ace. The 2 series, which weighs in at just below 900 grams is said to use the same mould as the 1 series and is the roughly same weight as the older high-end Altamira 1.0. Prices for the 2 series models start at £1499.99 with Shimano 105 for the SL 2.5 upwards to the SL 2.1 at £2599.99 with Shimano Ultegra. Bike will be available through Evans Cycles stores in the UK and online this October.